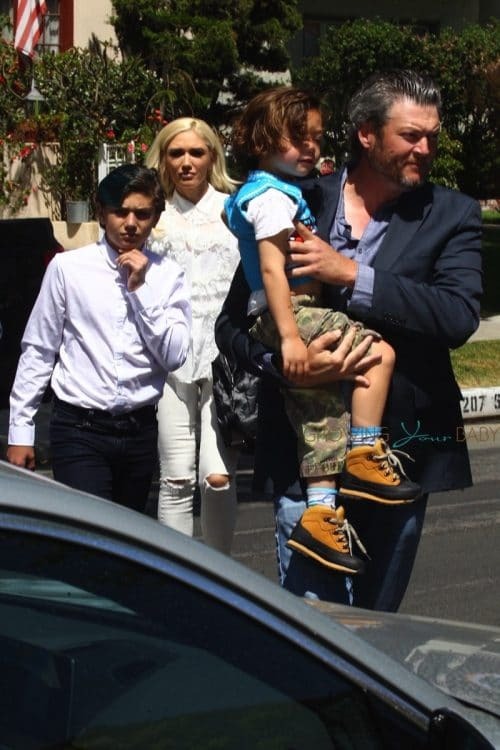 Gwen Stefani and Blake Shelton were photographed taking the kids Kingston, 11, Zuma, 9 and Apollo, to church on Sunday April 22, 2018. 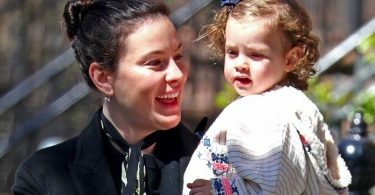 On the way in a friend carried the singer’s youngest son while the two older boys walked ahead with Gwen. On the way out Blake carried Apollo to an awaiting truck. The family then attended a child’s birthday party. The outing comes just a couple weeks after it was announced Gwen would follow in Britney and J.Lo’s steps with a residency at the Zappos Theater in Planet Hollywood. Gwen will perform 25 shows starting on June 27. There is definitely room in the schedule at Planet Hollywood after Britney Spears wrapped her residency on New Year’s Day after four years. Jennifer Lopez’s residency is scheduled to conclude in September 2018. The Backstreet Boys, Pitbull and Lionel Richie are filling in some of those voids – playing dates in April, May and August.